Future Hall-of-Famer Champ Bailey is the new voice on the underground train that runs from the main concourse to gates A, B and C at Denver International Airport. I guess Peyton Manning was that voice over the holidays (thank goodness I didn’t have to make an airport run during that time), but Bailey’s voice has taken over for the Broncos QB. 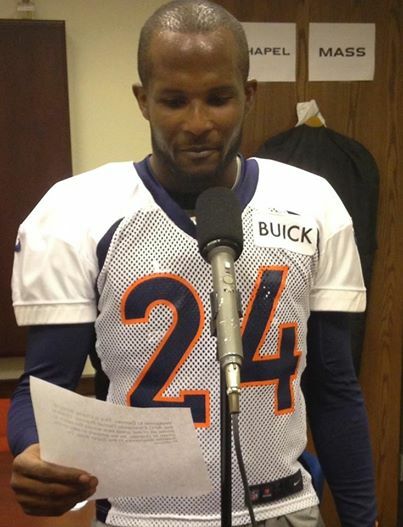 “I like to invite all of our great fans across the nation to unite in orange as we prepare to take on the Seattle Seahawks in the Super Bowl,” Bailey says in the recording. Listen to the full audio below, courtesy of DIA.